We're planning to level up our blogging / vlogging so now we are trying to look for possible countries to visit to give Filipinos a personal taste of how it is like to travel at a foreign destination. Filipinos can now access 66 international destinations without the need for a visa as seen from a chart prepared by CNN Philippines. 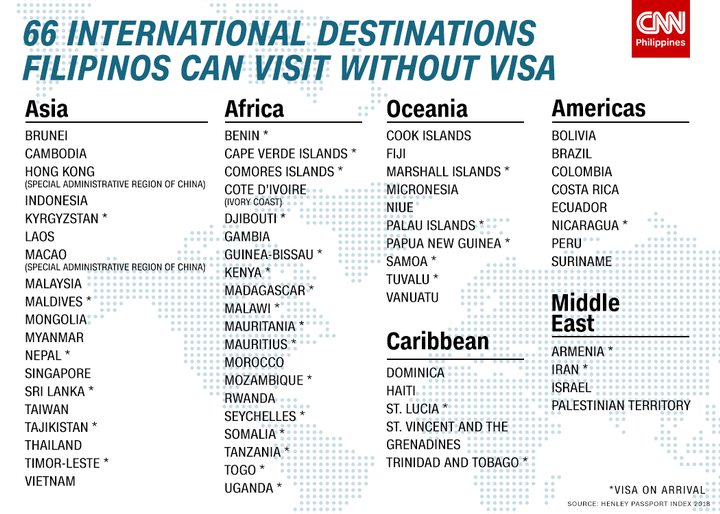 Armenia - Filipinos can obtain Visa on arrival in Armenia. No supporting documents required. ... Submit your passport and application form in the visa application counter and pay 3000 AMD for single entry visa, valid for 21 days. 1. Having visited Korea at least 5 times in 2 years, or at least 11 visits in total. 2. In possessin of a) a valid visa or entry permit to the USA, Canada, Australia, New Zealand or Japan, and b) a confirmed ticket leaving Korea for any of those countries within 30 days. Cinema health, safety and security is something you cannot take lightly. As a cinema owner or manager it is your responsibility to ensure your cinema staff and visitors can enjoy their big screen experience in a secure and comfortable environment. Having a night out at the cinema to see the latest blockbuster film is often considered one of the safest forms of entertainment that a person can experience. However, just like any other public, leisure or entertainment facility, there are risks involved. It is your job as cinema manager to ensure that your audience members can be rest-assured that you have put in place stringent health and safety procedures to protect them. It is important to take every step possible to comply with all current health and safety laws, and that you and your cinema staff follow best practices with regard to everyone's safety, both on and off the cinema premises. As an employer, you are required to have a robust health and safety management system in operation to help reduce or completely eliminate risks to your staff and anyone needing to carry out work on your premises, such as cleaning, repair and maintenance staff. The size and complexity of your cinema operation will affect your health and safety management system, so you need to have a very flexible and user-friendly Health & Safety Software Management system in place that will allow you to review update and amend your H&S policies as and when needed. The area of risk assessments is one of the most fundamental parts of successfully managing a cinema. You will not only need to conduct risk assessments for your cinema employees, but you will also need to conduct risk assessments for the cinema audience, which can present a whole different set of risks than your staff face. You will need to take an in-depth look at all of your staff activities and assess what hazards are present in their day to day duties. You must also work out what risks your cinema audience is being exposed to when experiencing these hazards. Finding ways to reduce, control or completely eliminate risks will be your top priority here. Keeping track of your health and safety policies and procedures with regard to staff members and cinema audience members will need to be generated separately and recorded separately. You can do this more successfully by using a cutting-edge health and safety software solution, such as the one created by Blue Lemon Health & Safety Software. 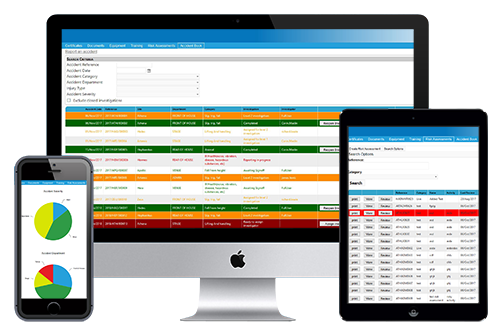 Our flexibly software can be perfectly tailored to suit the needs of your cinema health and safety management. Contact our friendly staff to discuss your needs. For Professional health and safety software for cinemas, click here. We are here to help! Intel Optane is a system acceleration solution found in 8th Generation (or newer) Intel Core Processors that boosts a computer’s responsiveness to end-user requests, including launching applications, finding and moving large files, and even loading levels in video games. It is designed to store commonly used data and programs closer to the processor. 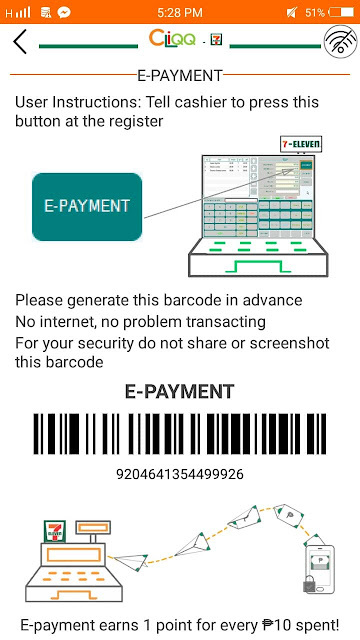 The system can access information more quickly with improved overall system responsiveness. “With the new range of devices that features Intel Optane technology, Lenovo users can now complete tasks significantly faster with shorter wait time than before. This is a huge boost in work efficiency and will allow students as well as working professionals greater productivity to achieve much more. 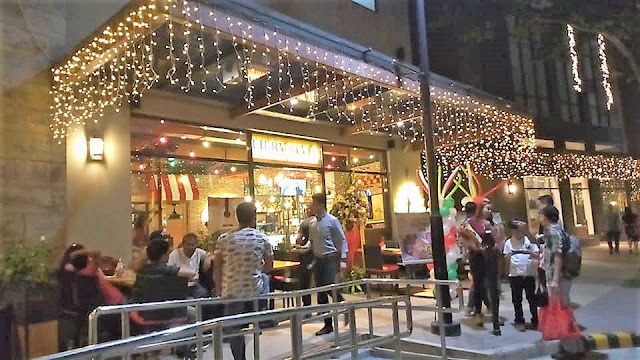 In addition, the technology provides gamers a near-uninterruptible gaming experience, allowing them to fully immerse into their games,” saidLenovo Philippines Country General Manager Michael Ngan. Ngan also notes the cost-effectiveness of Intel Optane devices; its abilities allow HDD (Hard Drive Disk) systems to run nearly as fast as devices with expensive SSDs (Solid-state Drive), removing the need for users to upgrade. 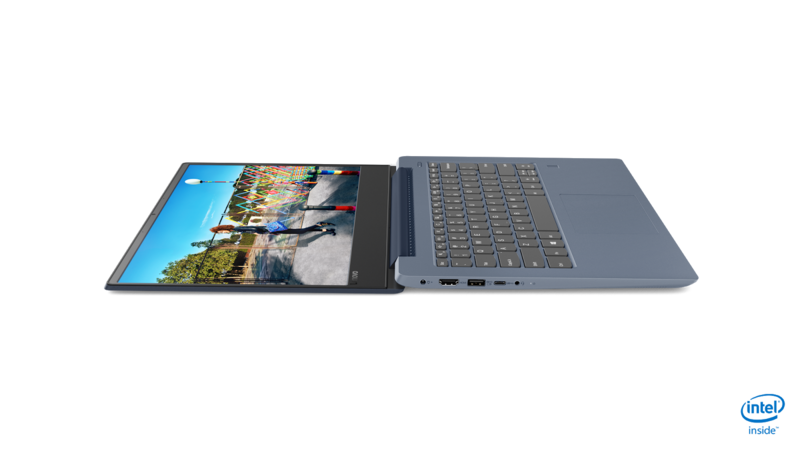 The release of Intel Optane-powered devices is just part of Lenovo’s objectives in bringing innovative technology to the market. This partnership with Intel is specifically aimed at providing end users across demographics with powerful devices that deliver high performance in every task. 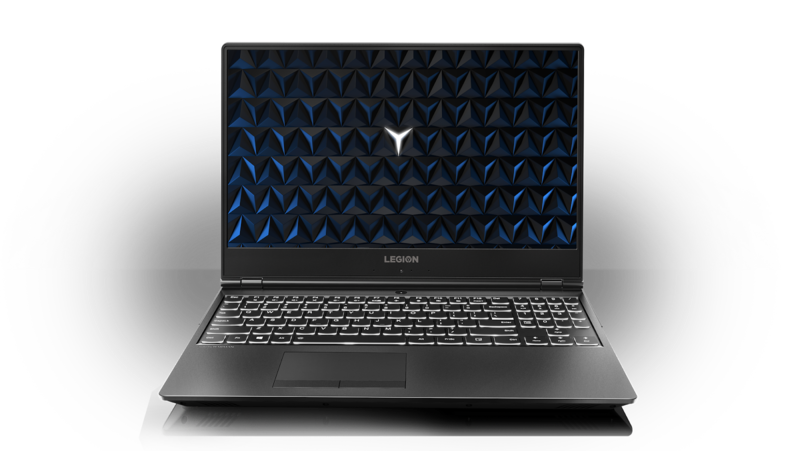 Lenovo is expected to release other products across its consumer, commercial, and enterprise lineups with Intel® Optane™ to make the technology’s benefits more accessible to the public. 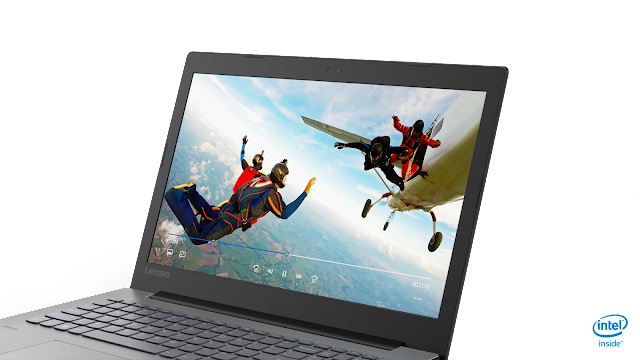 Intel Optane-powered Lenovo devices are available in major electronics stores. 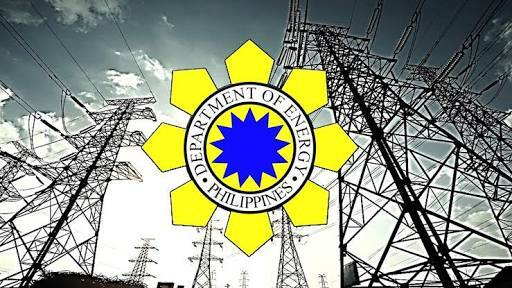 Department of Energy (DOE) Secretary Alfonso G. Cusi on Thursday (27 December) enjoins oil industry players to empty first their 2018 oil inventories before applying the second round of the excise tax to petroleum products for 2019. We all know how economical and convenient it is to just rent an office at a co-working or shared office setting and equally share facilities with other tenants. This is quite true for those startups or low-budget entrepreneurs who want to create a stable business presence yet save on resources. Congratulations to Project T Solutions for their 2nd offering of a Serviced Office and Co-working Space, also in Bonifacio Global City (BGC). Project T shared offices / co-working space takes pride in being able to get 100,% occupancy rate in less than a year on their first venture (at Bonifacio Stopover Corporate Center). 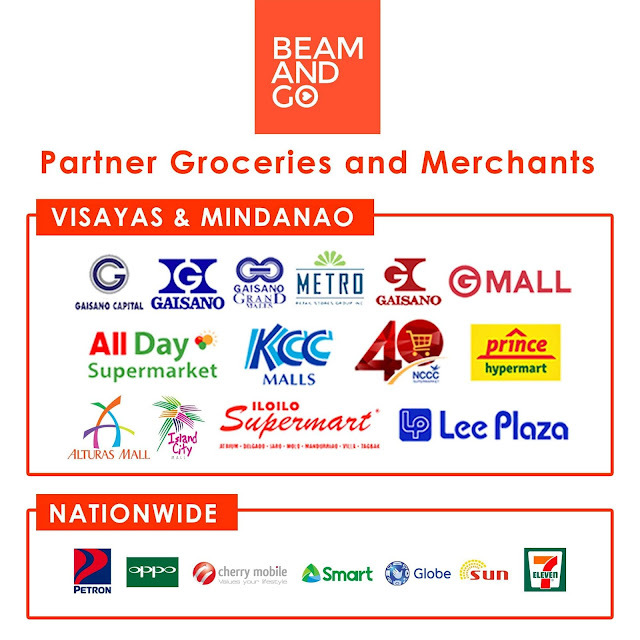 Now with their 2nd offering, after seeing the amenities they offer (from the tour which Nicole led), it is not surprising if they beat their own record even if they now occupy two floors (15 and 16) of the Twenty-Five Seven McKinley building, also in BGC.. We were informed the 16th floor already has two companies renting soon. I loved this particular building because the floors have lots of windows. I would prefer to setup an office where there are windows for proper ventilation and natural lighting. It definitel looks a lot better than a totally enclosed office space. 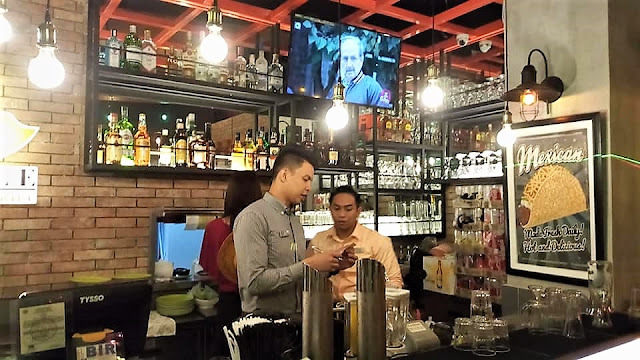 It seems the co-working space or shared offices business is in demand because of the many benefits it gives especially for start-ups or small businesses, and Project T even made it more convenient and comfortable with the extra amenities that they offer - gym, table tennis, yoga and Zumba classes, a shower, and 250 mbps Internet access with three ISPs (Globe, PLDT and Eastern Telecoms) to be assured of no downtime. Congrats Project T Solutions, and to the founders for the success. 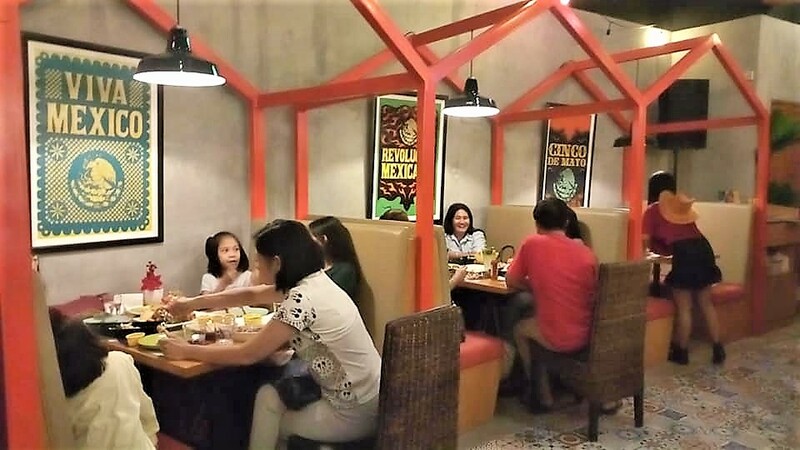 Congratulations to the latest branch opening of Fiery Style Southwestern Grill which is located at the ground floor of Estancia Mall in Capitol Commons, Pasig City. We met the owner and video-interviewed him even before the event started. I was still a bit under the weather so my voice was still hoarse so please excuse how unpleasant I sound. I was early to arrive so I took the time to interview the owner to spend the time more productively. Eventhough my wife would no let me go attend another restaurant event, I made it to this particular event since she was not at home to dissuade me. The reason she keeps stopping me is because I'm already too fat. My shirt size which was originally a Medium before I started blogging is now at an Extra Large size. Whoah, and I've been blogging for just almost 6 years! Imagine how many restaurants I've visited and feasted on their specialties. However, this is the first time I've got invited for this particular restaurant which I've been seeing on my Facebook social media timeline. 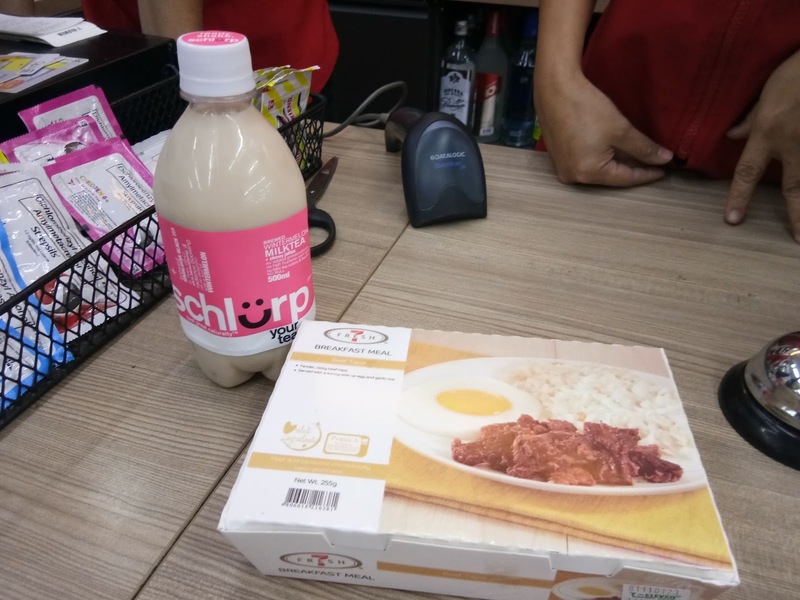 You could say I was curious enough, and since this particular branch was just in Pasig, my home city, I was more than determined to be there. With just a few minutes notice from an invite sent that same day just a few minutes before call time, I immediately booked a Grab car to speed up to its location. I was surprised that I made it only 5 minutes past the 6pm call time, and was even more surprised to see my invitee was still not there yet. So what else to do but make the waiting time more productive. I approached the owner, as per advise by one of the people there, and asked for an interview if possible. 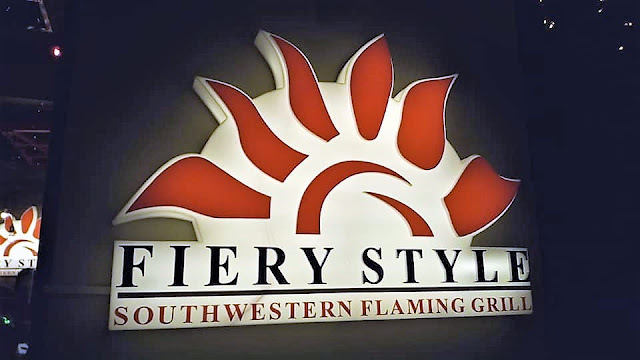 Luckily, my request was granted and so that's where I found out more about Fiery Style Southwestern Flaming Grill. What's inside the cylindrical tin can? 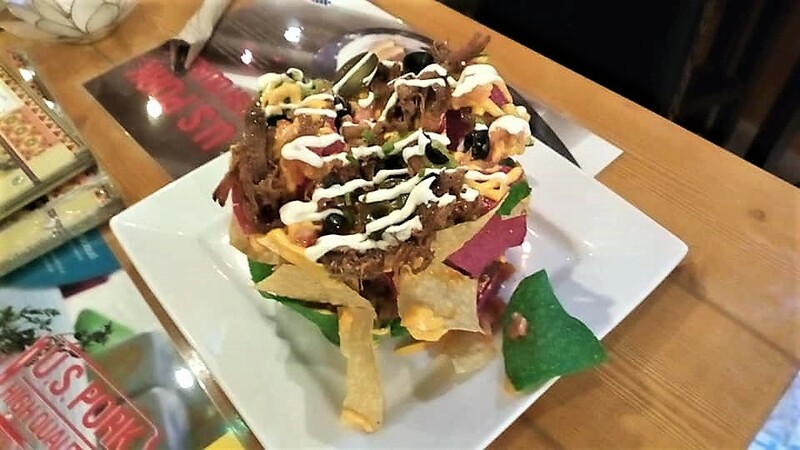 Nachos!!!! Tasty and crunchy nachos all stacked up that high. Be careful because they may fall outside the plate. 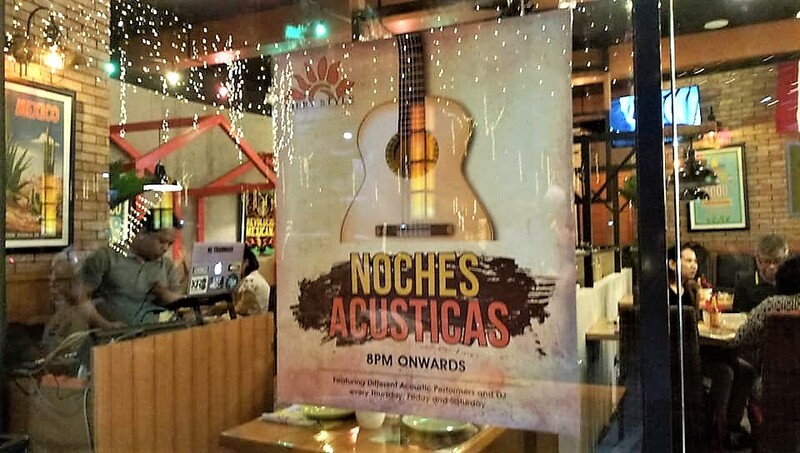 With 5 branches already making noise, Fiery Style could indeed have the rights to boast about their American / Mexican dishes especially their customers' favorites like the nachos served uniquely coming out from a cylindrical tin casing and almost leaving you with a thought of "Will it keep in shape or fall down like a building demolished by expert bombers". I had to order it since the owner said during the interview that it is their specialty claiming it as the best nachos in town. Intrigued at first but later convinced that he was indeed truthful to his words. The galleon is ready to set sail!!! or the combo dishes served in a boat-shaped container called Galleon of Bones (Supremo P828 and Ultimo P1528) - another creatively named specialty containing an assortment of comfort foods - BBQ ribs, chicken wings and meat pork hammers, beef ribs served with southwest chips or our choices of fiery rice, coleslaw and Texan BBQ sauce. 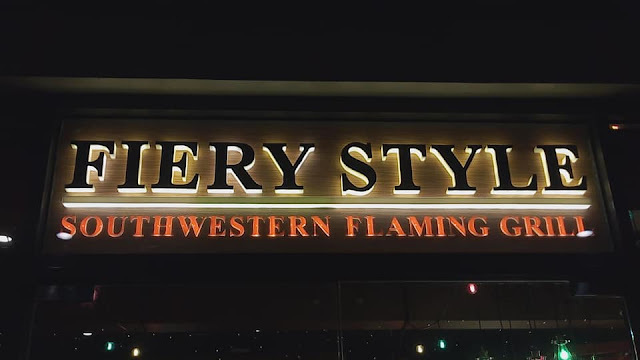 It's not my first time yo experience a similar themed restaurant but Fiery Style has its unique qualities that makes it stand out from the others I've dined in. For the Steaks, I've tried their US Sirloin (P348), and ordered it cooked medium well. I've managed to consume everything but I find it a bit tough to chew. 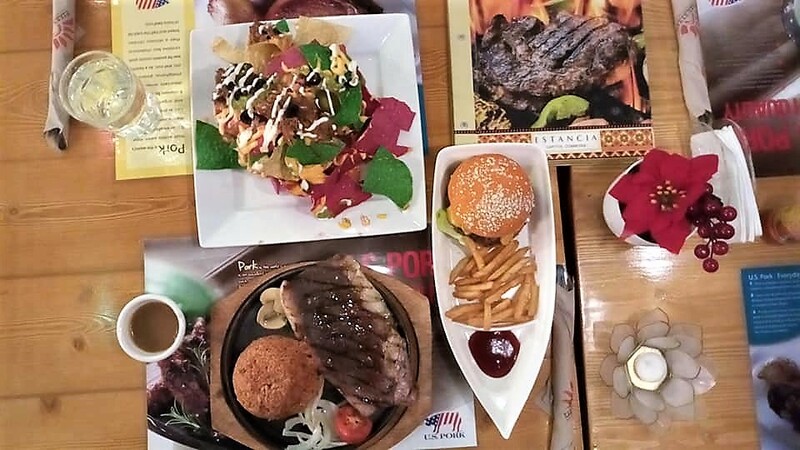 Queso Grande Beef Burger is also in a boat? Well I know where it's headed...sailing to my tummy! 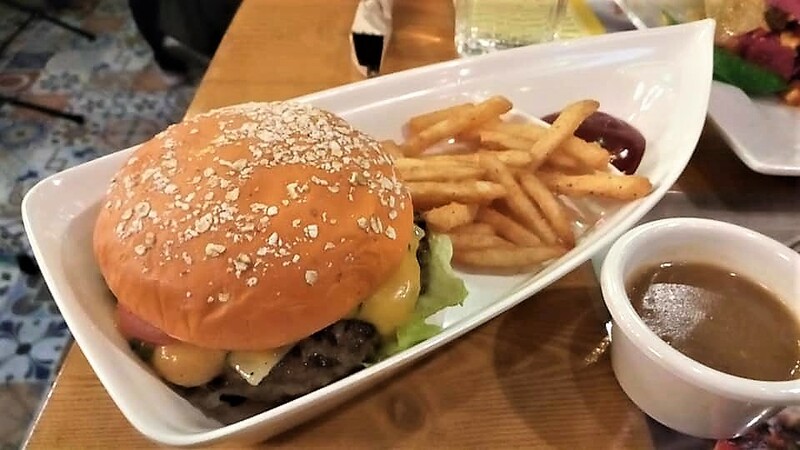 What I really loved was the burger I ordered - Queso Grande Beef Burger (P268) composed of cheddar cheese sauce, American cheddar cheese, Herb cream cheese and Mozzarella cheese. With all those cheese it is without any doubt pleasing to the taste buds. I'm a cheese lover so I was appreciative of this particular combination of taste. Just like how I love pizzas with triple cheeses, the burger was gone first. Fiery Style may have the similar Mexican favorites like the quesadillas, tacos, burittos, and of course I could never miss out on the chimichangas, salsas and guacamoles to make the flavors of the food really bursting in goodness ( added specialties to complete the dining experience (added specialties to complete the dining experience), but the restaurant also has so many American dishes like numerous kinds of burgers (who doesn't love burgers and these are totally superb than those coming from fast-food restaurants, but of course you pay more for quality ingredients and taste) and steaks (maybe next time they will let me try the rib eyes (more expensive) so I could check if it is more tender than the one I tried, again you pay higher for the better ones) - more choices that are equal favorites of the majority. Using a different phone with camera, is this better than the above photo? Lastly, for dessert, I tried the Southwest Churros (P188). It is without any doubt better than the more popular one out there. 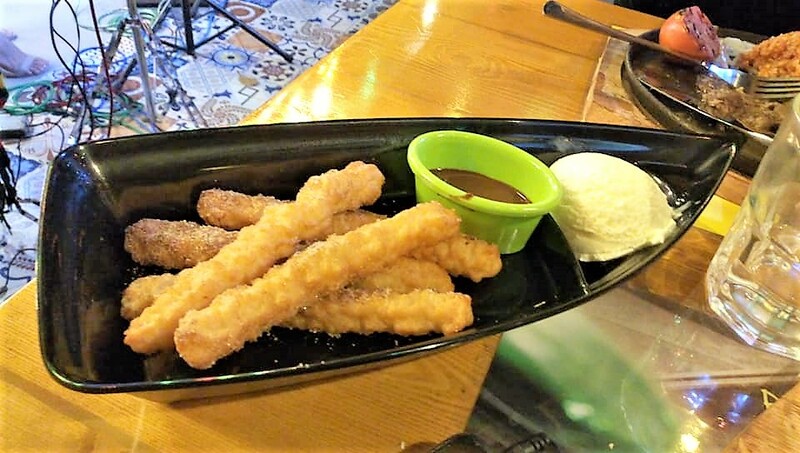 I loved the sugary texture of each though it was a bit too soft to hold in one piece as mine keep breaking apart every time I dip it into the chocolate or vanilla ice cream. Loved the hot chocolate. If only I'm back to perfect health I would have tasted the cold drinks too. 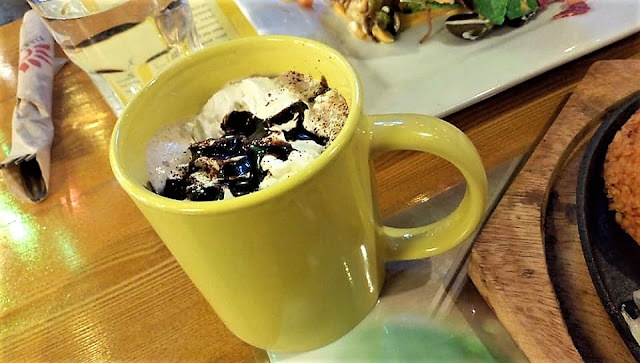 For drinks, I ordered the Mexican hot chocolate (P108) and followed by Brewed coffee (P88) since like I said earlier, I was still recovering from a cold and my wife prevented me from drinking anything cold. As you would deduct, I love my wife so much that I follow her every command. Hehehe! Going back to the hot drinks, I can't say anything out of the ordinary for the drinks I tried but they were not bad at all. 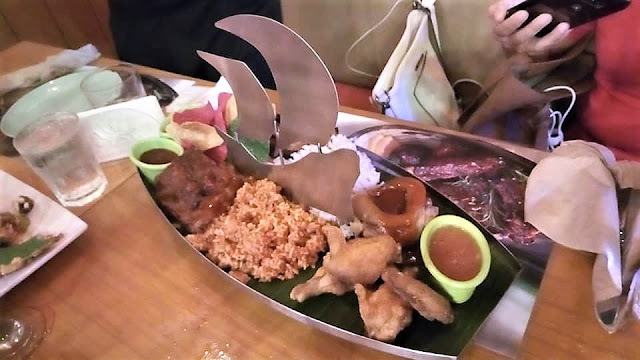 In fact, I would have ordered second servings but it was a busy night and I could see the waiters so busy attending to the other paying customers. Their faces were already showing signs of fatigue so I opted not to add further stress to their dilemma. The interview with Mat also revealed that they plan to open more branches soon. Wow! They are aggressive and must be doing great to dare open more branches. I guess Filipinos must love this kind of cuisines to satisfy their cravings for a good and filling meal, that are also reasonably-priced. I am always willing to pay more for quality food than eat junk food at fast-food joints. Should they add images of fire here too? 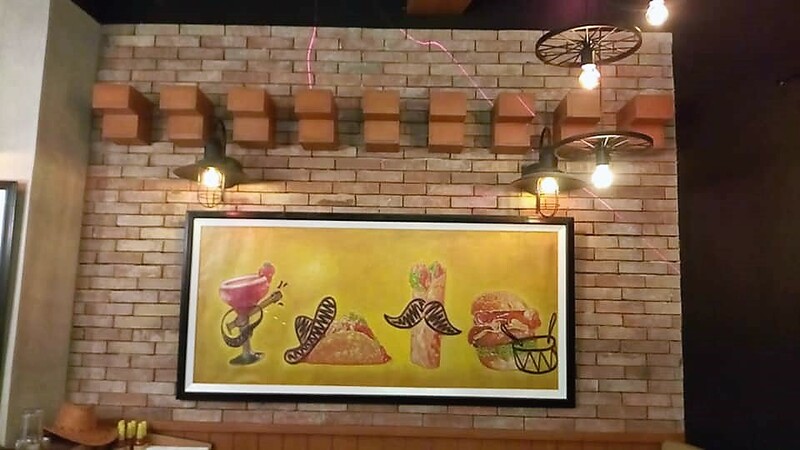 The ambiance at this Fiery Style branch is so Mexican-ish so those Havana lovers should definitely visit! Hey, I also loved the live music and DJ, but I believe it is too loud that people are not able to converse audibly. Maybe lower down the volume enough to let people have a casual discussion and catch up with the latest viral or trending rumors or controversies online. Lol! But who wants to talk when you're too busy munching on satisfying food. Maybe just let the good vibes of the music take you to the better state of euphoria while enjoying their dishes. Now that sounds a lot more heavenly! Mexican-inspired images decorate the restaurant.. Are those Mexican food? This is my first time to visit this brand of restaurant and am not familiar with the other branches so I couldn't compare. But I am surely recommending this for friends and family who want to chill and have fun during Fri-Yay and Satur-Yay nights! Though expect more people during weekends as they are gimmick nights. For weekdays, the after office hours may also be a bit crowded. We were there on a a weekday but soft opening day and we were surprised how customers kept coming in. 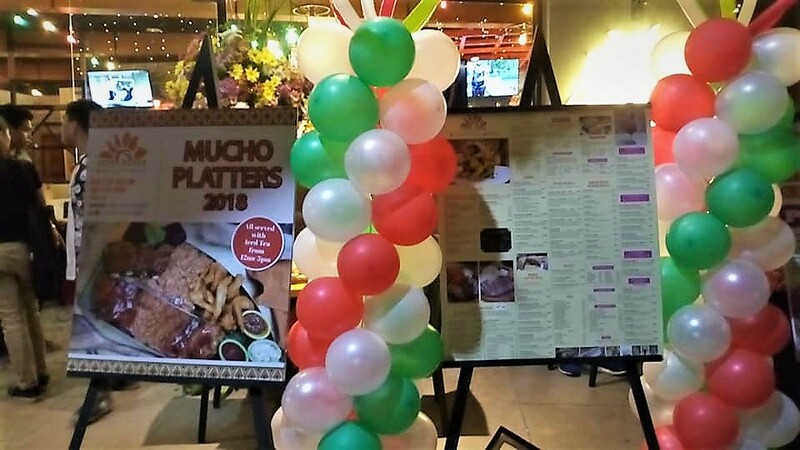 I guess it's time for the management to look for bigger places to put up their restaurants. Again, congratulations to Mat and thank you to sir Migs and Claire for arranging this bloggers event. 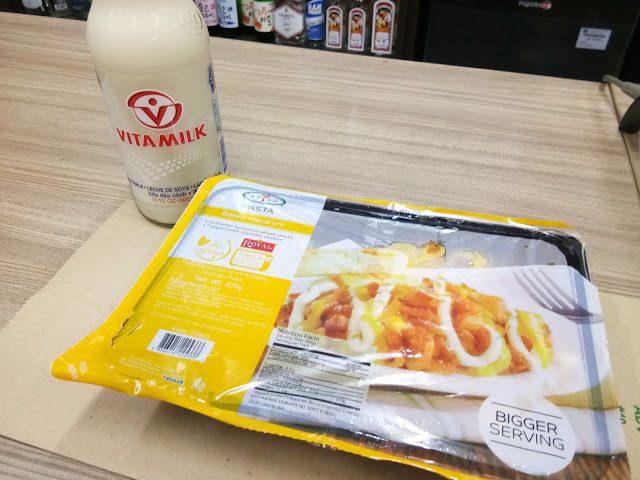 Though there was no program of any kind and everyone was just allowed to order anything we want, my video interview with Mat made it more satisfying, as I really don't want to just eat and run. Also check the video feature I did about the restaurant on our official Facebook page at http://www.Facebook.com/WazzupPilipinas - a longer video which also includes the interview at the last part plus images of the food and happenings during the soft opening, not to forget the dance of two Tita bloggers upfront to the amusement of other customers a bit surprised but delighted. If the place was a bit more spacious, i would have joined them ... Lol! But I have to reserve my dancing prowess and keep it still hidden for a while and only let it out when Mat and Migs invites us to a bigger branch, hopefully soon! Everyone is doing the iconic Wazzup Pilipinas shout-out!!! 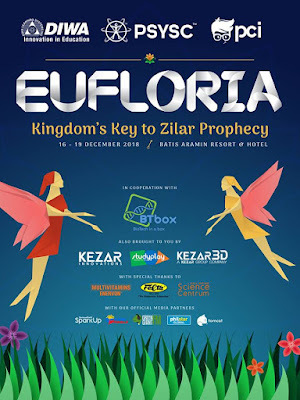 The 2018 National Children's Science Interactive Workshop with the theme: "Eufloria: Kingdom's Key to Zilar Prophecy" this December 16-19, 2018, atBatis Aramin Resort and Hotel in Lucban, Quezon. In cooperation with BTBox - BioTech in a Box, this event is also brought to us by Kezar Innovations, with special thanks to Enervon, Felta MultiMedia, and Philippine Science Centrum, together with our official media partners, SparkUp, Wazzup Pilipinas, Green Giant FM, Philstar.com, and Tomasian Media Circle and Talents. Let fairies take you to the Kingdom of Azla where lush forests take deep roots and magical flowers bloom wild! Together, let's witness the Zilar Prophecy unfold! Would you believe that it’s the time of giving yet again? 2018 is almost at its end, and what better way to celebrate than a hearty chat with close ones over a warm dinner table or a trip to a nice place? The concept of catching up with loved ones is always a positive light, but people don’t always get to enjoy that luxury because they’re “out there” making sure there is a warm dinner table or a nice place to begin with. Many people are “out there” breaking a sweat and after a long day’s work, truly want to make sure their home is a healthy and loved one. We have to remember though, it’s the 21st century and technology is here to help. There’s the well-used and award-winning app called BeamAndGo, a prepaid payment method mainly designed for OFWs that you can now also use at all 7-11 convenience stores. 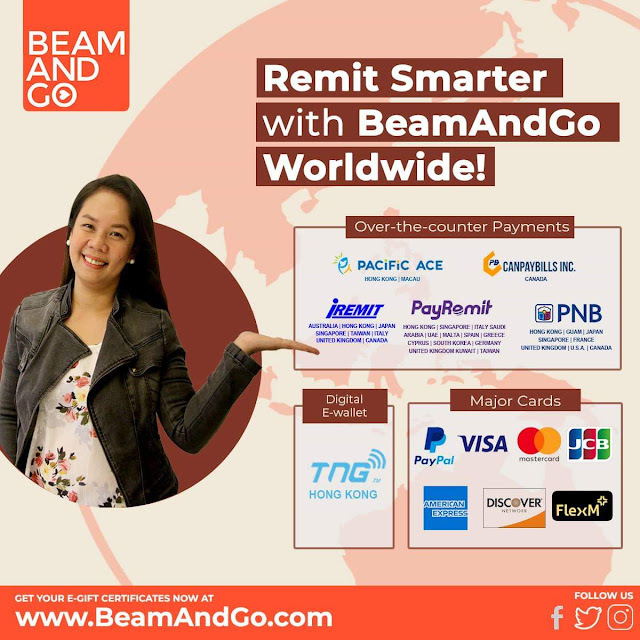 OFWs can actually use BeamAndGo to send their remittance in the form of credits at popular establishments like groceries, department stores, and now even at convenience stores. 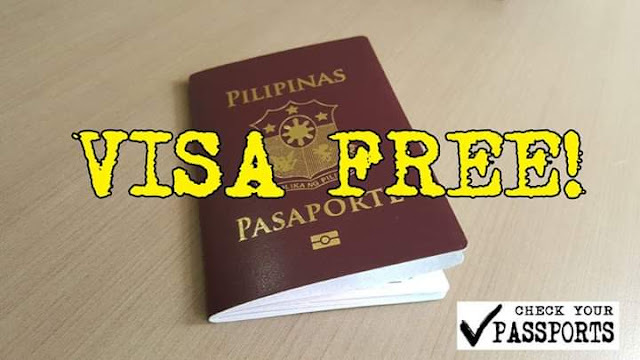 This is highly useful if OFWs want to make sure that their remittance are surely going to be used for their intended purposes, compared to sending money where their family members or relatives may be tempted to use their hard-earned salaries to other wasteful activities or unnecessary items. 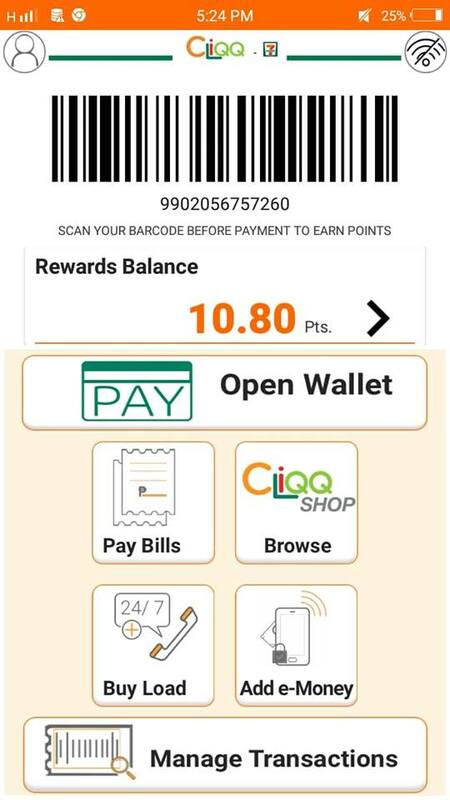 Just download the “Cliqq” app from the app store, load-up your credits beforehand on your smartphone and enjoy anything 7-11 has to offer - may it be breakfast, lunch, dinner or maybe just some coffee or milk tea - without having to draw out anything except your smartphone later. If they’re not “out there” earning a living, they’re probably “out there” traveling and experiencing what the world has to offer. No time to dilly-dally, it’s time to make each second of Christmas break count by exploring the different places of the country. 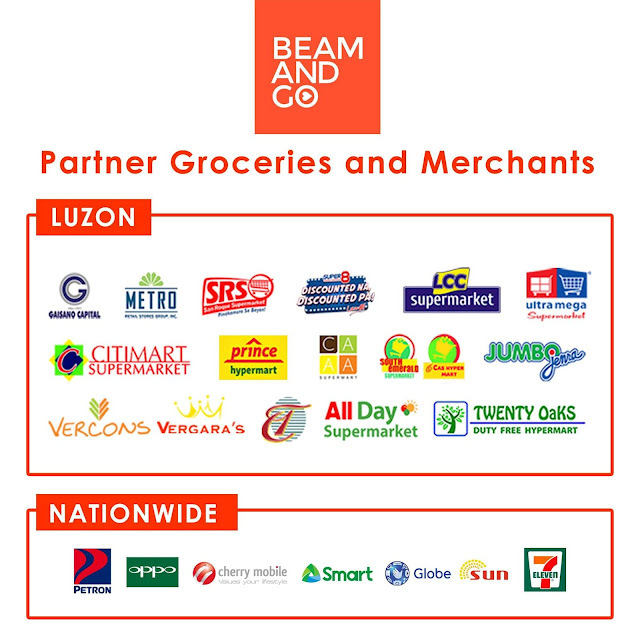 .....and BeamAndGo can make things convenient by letting you stop at any 7-11 branch, pick up what you need, and just BeamAndGo. As for my experience, I’ve been using it to enjoy my dinner, also known as some 7-11 baked macaroni or lasagna plus milk tea, at 7-11 after work at the 7-11 branch near school. 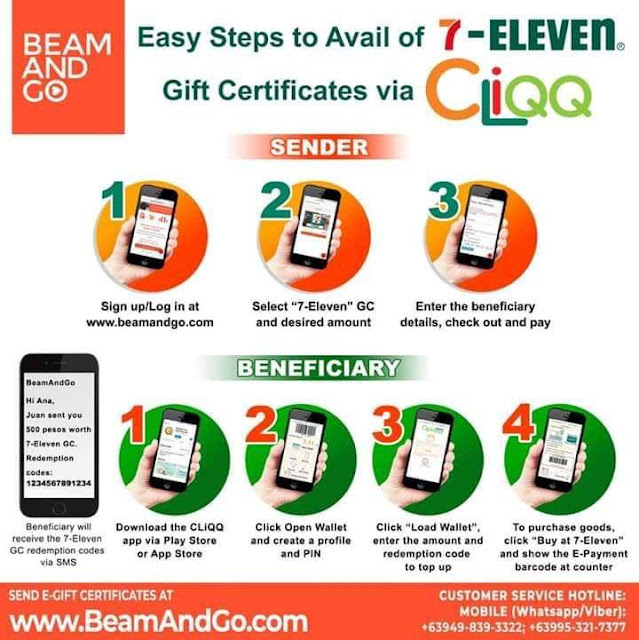 As I open the glass door, I exchange greetings with the friendly 7-11 staff, pick up what I need, get my smartphone to open the app and present the bar-code on the Cliqq app. 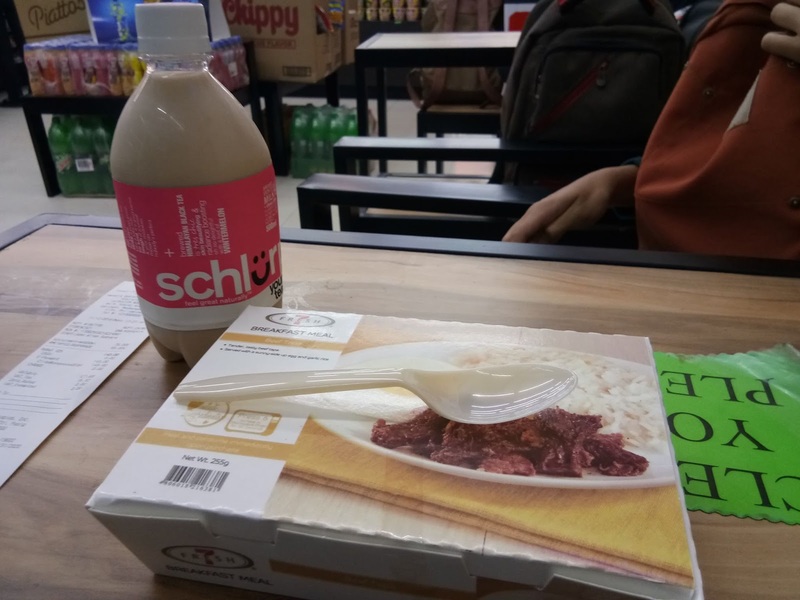 The staff then scans the bar-code as payment for the products and I get to enjoy my dinner for the night. The app is very intuitive because their functions are already there. If you're ever uncertain about anything, the staff will serve as the quick and easy guide in using the BeamAndGo service for you. 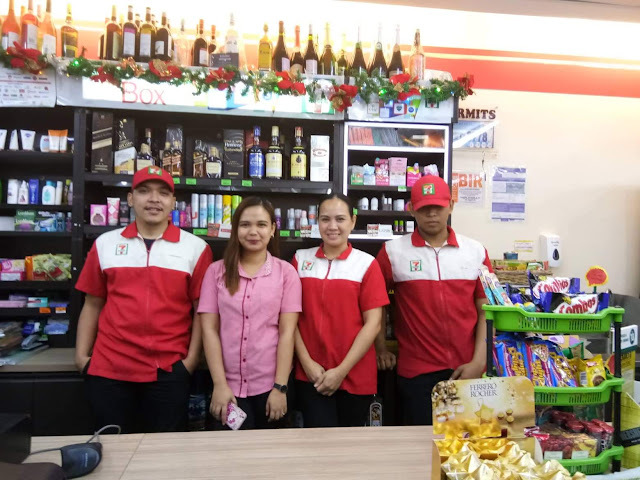 For every purchase, you’ll also earn points, which, once you’ve accumulated a certain number of points, can be exchanged for 7-11 items. Each scan earns me some points and later I'll get to receive a selected reward. If you’re finally ready to take steps to invest in an off-plan projects in Dubai but you don’t know where to start, this article will help you with your decision and will identify the top five off-plan projects you should invest in Dubai. Located conveniently near Dubai’s media and internet city, the airport, and a mall, the Madiant Jumeirah Living is a master-development with approximately 60 resort-style properties. Car access is limited, and the community has been designed with the environment in mind, so you can be sure you and your family will be safe in this serene community. The future of living will come alive in Dubai Creek Harbour, one of the new projects by Emaar. The community Is located by the historic Dubai Creek, making it a waterfront community. The community will be home to the highest sky garden in the world and its plaza will include shops, parks, office spaces, and residential spaces. New projects by Dubai Properties include the illustrious Villanova property which will offer three- to five-bedroom townhomes and villas. Find your home at Villanova, which will feature modern Spanish architecture surrounded by playground areas, sport facilities, family areas, a mosque, and even a school. Bluewaters residences in Dubai is one of the new projects by Meraas. Bluewaters Residences apartments is a waterfront island property that features a wide selection of penthouses, townhouses, and apartments for sale in Dubai. The area is perfect for families, giving you a waterfront lifestyle in the big city. The Ain Dubai, the world’s tallest observation wheel, as well as Caesars Palace are both located on the island! 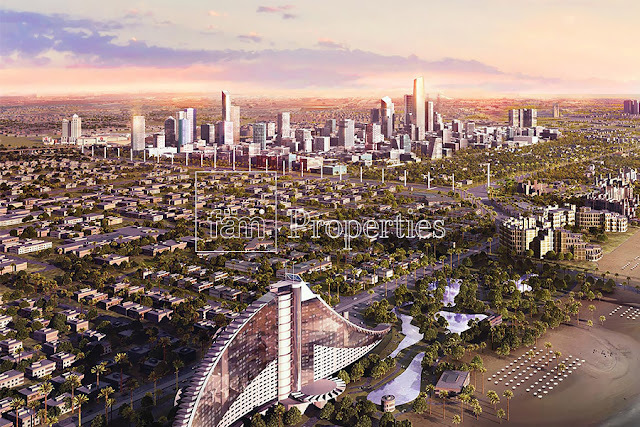 Another of the new projects by Emaar include, the Emaar Beachfront property. The community will be made up of 27 towers that will include apartments, ranging from one to four bedrooms. Emaar beachfront apartments will give residents access to a 750-metre string of beach inaccessible to others! Top real estate brokers in Dubai are ready to help you invest in one of these amazing off-plan projects! Investing will save you money and will help you earn more money, following its construction. You can also breathe easy when investing in these off-plan projects in Dubai as you will be completely protected by law from fraud and hold-ups in the building process. With the property market certainly booming in Dubai and with new projects by Meraas popping up, there are certainly many options to choose from. With so many gorgeously decorated apartments for sale in Citywalk, you’ll want your apartment to stand out too. The space under the stairs is often times one of the most neglected spaces in a home. Depending on the space that you have to your disposable, you can transform it into a bookshelf or even a small office. This is an easy and cheap designer trick. If you want to make your ceiling look higher and by extension, to make your small space appear larger, opt to hang your curtains as high and as wide as possible. That way, the window itself will also appear much wider than it actually is. Smart furniture not only adds more functionality to your space but it can also add a level of decoration to a room. Opt for pieces which have more than one purpose. Ideally, these pieces should work for you rather than just taking up space. Sometimes, a three seater sofa isn’t absolutely necessary especially if you’re low on space. Opt for a loveseat which comfortably seats two persons. 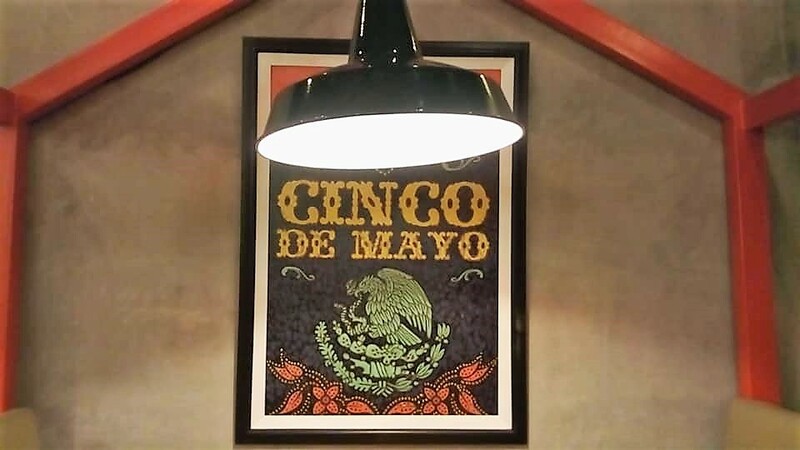 Not only will it save space, but will also act as a statement piece in any room. Extra storage is also necessary in order to keep most of the clutter at bay. Therefore, rid your space of extra chairs that just add to the clutter and utilize thoughtful built-in seating which adds another dimension to your space. Be sure not to centre your attention on spaces such as the living area and the bedroom. Laundry area and kitchens also need attention too. Use expandable racks and shelves for added storage and organization. Having a tiny apartment doesn’t mean that you have to compromise a stylish décor for space and functionality. Yes, you can have the best of both worlds and have a small dwelling that is comfortable and most importantly, one that suits your tastes. 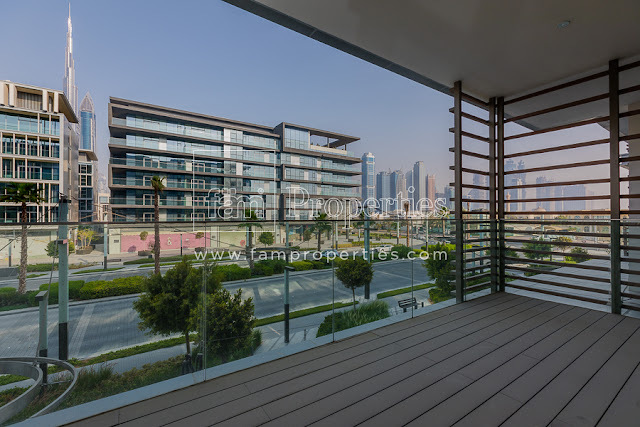 After all, with the numerous gorgeous studios and apartments for sale in Citywalk Dubai, you can certainly find ways to maximize your dwelling too.